This spring morning everything was vibrant green after weeks of rain. 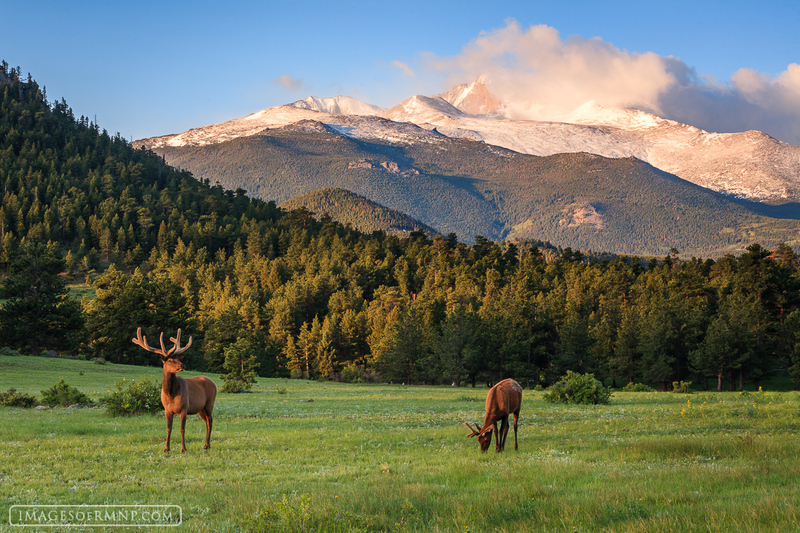 The grass was growing quickly just like the antlers of these elk who took it upon themselves to keep the grass short in Beaver Meadows below a cloudy Longs Peak. Photo © copyright by Erik Stensland.